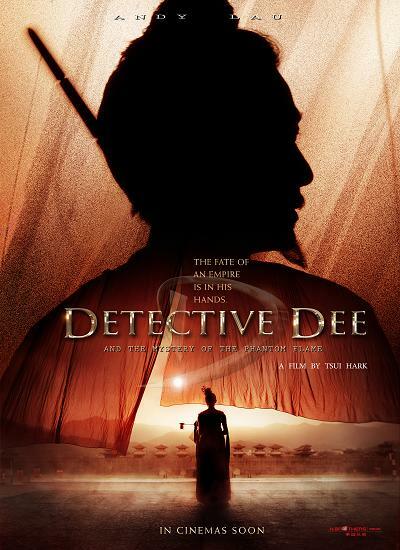 67th Venice International Film Festival announced its international competition of feature films, Tsui Hark’s latest film Detective Dee and the Mystery of the Phantom Flame is the only Chinese film representative vying for the Golden Lion, Best Director, Best Actor and Actress. Johnnie To’s Shares did not managed to wrap up shooting in time thus miss this festival. The Asian troops also includes Ahn Hung Tran’s Norwegian Wood and Takashi Miike’s 13 Assassins. Director Quentin Tarantino will lead the International Jury for the Competition to decide the winner for the Golden Lion. The others in the jury includes most influential Latin-American writer Mexican Guillermi Arriaga; Lithuan actress Ingeborga Dapkunaite; French director and screenwriter Arnaud Desplechin; American musician and composer Danny Elfman; Italian director and screenwriter Luca Guadagnino and director and screenwriter Gabriele Salvatores. The 67th Venice International Film Festival will be held from 1 – 11 September, director John Woo will be presented the Golden Lion Life Achievement award. The opening and closing film will be Black Swan directed by Darren Aronofsky and The Tempest starring Venice’s Best Actress Helen Mirren respectively. Director Tsui Hark spent three years to prepare Detective Dee and the Mystery of the Phantom Flame, it’s his first wuxia film in 5 years. This is Tsui’s second nomination in Venice International Film Festival after Time and Tide in 2000 which won Future Film Festival Digital Award and his Seven Swords was the festival’s opening film in 2005. The cast of Andy Lau, Li Bingbing, Carina Lau and Deng Chao was told of his good news and were excited that their film was nominated for the festival. Andy expressed that he feel happy for Tsui Hark as this Dee Renjie character was the creation of Tsui Hark and himself, to be able to be nominated is a recognition for the crew members’ hard work, he is preparing to attend the festival. It was said when the nomination list was announced, Tsui Hark was in Pusan overlooking the post production of the film, everything had been going smoothly. With regards to whom would be appearing at the festival, Huayi Brothers will make an announcement in a later date. As the screen date for the film estimated to be on 5 September, Tsui Hark would surely attend and Huayi Brothers had already started communicating with the cast for their work schedule. Whether Detective Dee and the Mystery of the Phantom Flame win or lose, this is a good news for the film, especially comes to oversea distribution sale. Having sold 11 distribution rights at Festival de Cannes, Wang revealed that till date, the distribution in European countries had roughly being snapped up. When talked about the relationship between Tsui Hark and Venice International Film Festival, with the head of the jury Quentin Tarantino a fan of Tsui Hark as his favorite Tsui’s film being The Blade.